I've just inherited my old man's old road bike. It's a 25" Falcon Majorca, that's been Frankensteined so to speak. 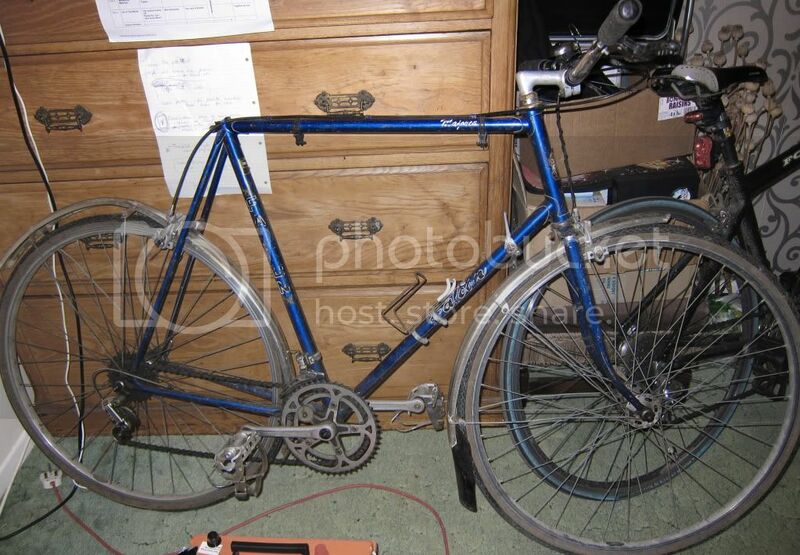 I'm looking to sell the frame and forks only, or swap them for a smaller frame (18/19/20") of similar quality / age. Looking for £25 plus postage, or swapsies for something similar yet smaller. Last edited by MinusNothing on Tue Jan 24, 2012 8:52 pm, edited 3 times in total. You ought to post a price as per the Rules & Guidance.